Life is a little blurry right now. (No, it's not the amount of tequila I've had tonight.) It's a busy and scattered and who's taking who where and what time's practice and oh my gosh I forgot that was today and I have no idea how that's getting done and I didn't have time to go to the grocery store so you'll just have to eat rice and frozen peas for dinner kind of week. 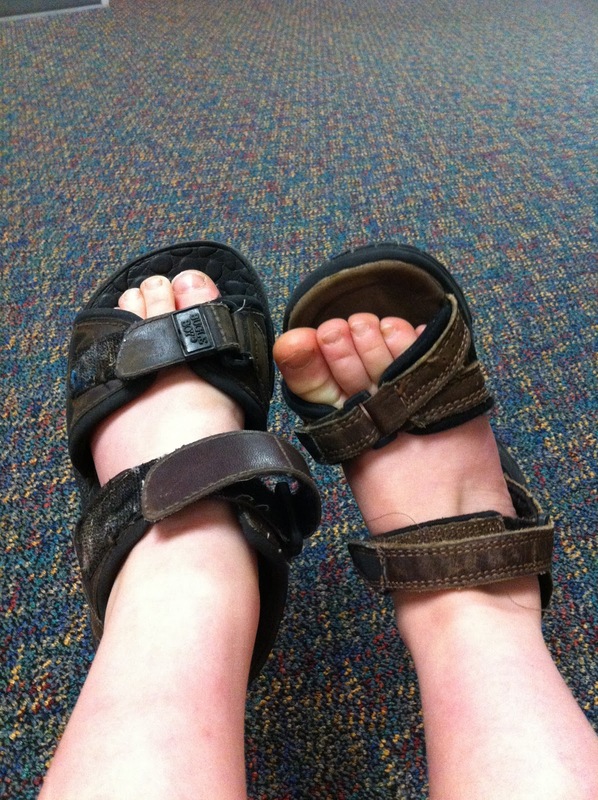 It's a so what kid, you have two different sandals on your feet at least you have shoes on kind of week. Wade went to school like this. Neither his teacher nor he seemed surprised or disturbed. Next Wednesday is the last day of school and summer will finally be here. Life will slow down, maybe too much for some of us, but I can't wait. The countdown is on, I know that for sure (this week). Even though it's been busy, the girls had some time to hang together. All us girls in the house--Lucy, Cosi and me. I love having a big family. One of the many reasons I love having a big family is that when I'm at my wit's end with a fit-throwing preschooler, a big sibling comes to the rescue and makes everything better. Lean in, lean back. Stay home, work. It's complicated and personal. I love what Ali Wentworth says about motherhood and career. I'm a huge fan of hers. 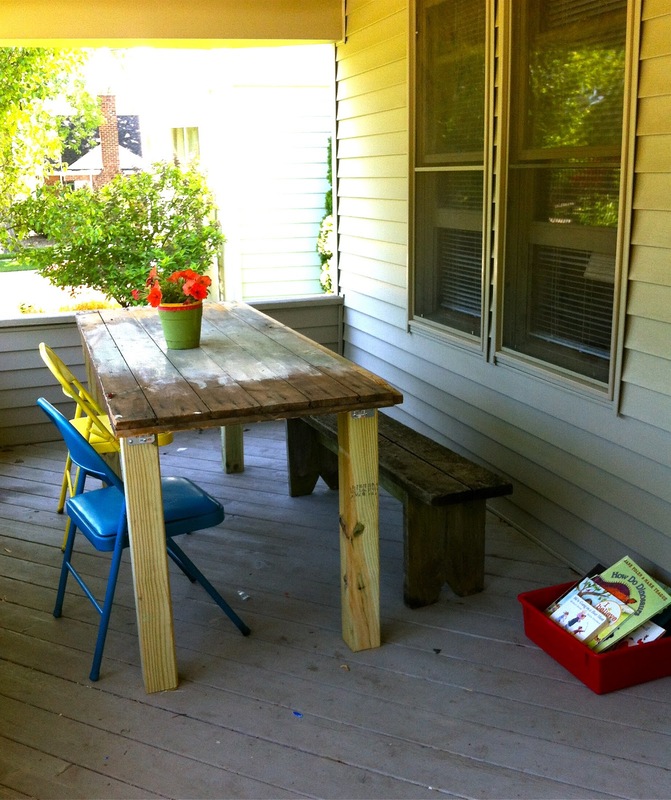 I can't stop bragging about my new table made out of a door on my porch that is now where I spend most of my time. I love it. Click here for details. Watching celebrities play games equals a fun night for me. Maybe that's incredibly sad, but it's true. I can't wait for this summer show, Hollywood Game Night. Remember watching celebrities play Win, Lose or Draw? I loved that show. Popsicles are awesooooommmme! 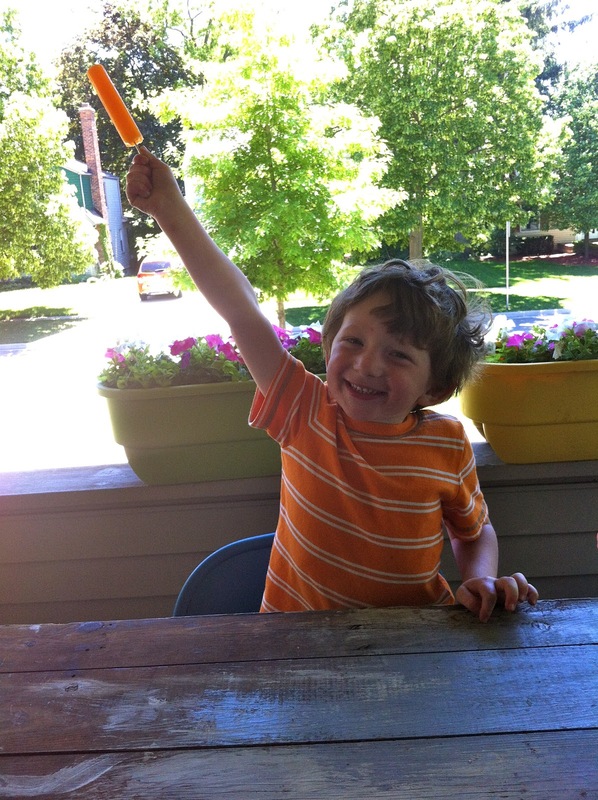 Or at least that's what Wade thinks in this color coordinated Popsicle moment. Going back in time can be pretty telling or not. I read from my diary (circa 1990) on YouTube and discovered I haven't changed all that much in over 20 years. 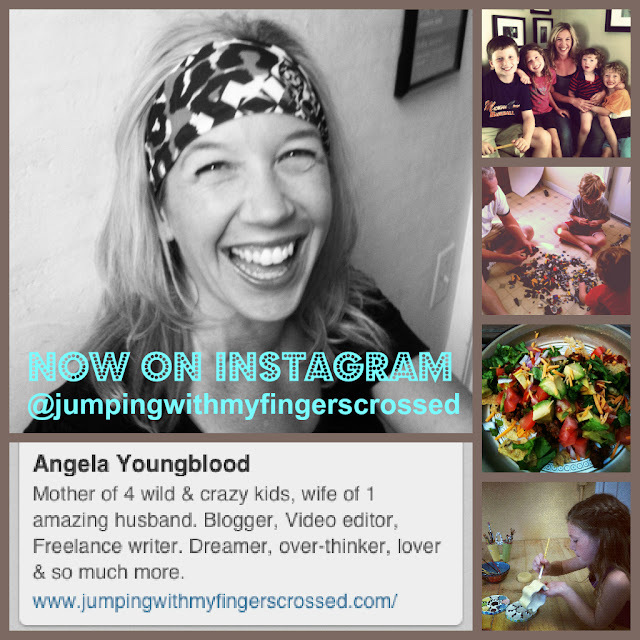 Here's the latest vlog in case you missed it this week. If I know nothing else this week, I know that bubbles + a puppy + my Lulu=adorable-ness.